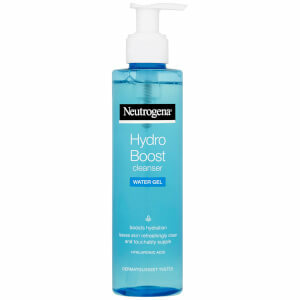 Refresh and purify your skin with Neutrogena Hydroboost Water Gel Cleanser, a hydrating gel cleanser that activates with water to gently lift away dirt, makeup and oil from the complexion. Providing skin with a boost of essential moisture, the face wash utilises patented cleansing technology and hydrating Hyaluronic Acid to effectively cleanse away impurities whilst protecting the skin's barrier. 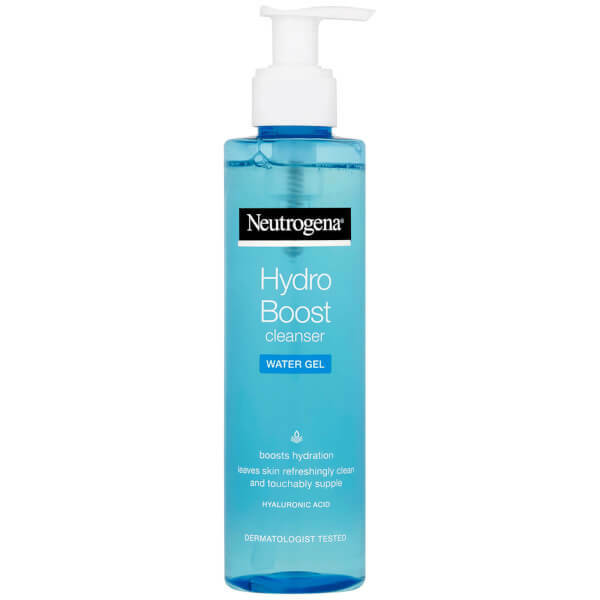 Locking in moisture, the gel formula will leave skin feeling refreshed and supple with youthful bounce. Wet face. Apply to hands, add water and work into a lather. Massage face gently. Rinse thoroughly. [PR-017060], Aqua, Glycerin, Cocamidopropyl Hydroxysultaine, Sodium Cocoyl Isethionate, Sodium Methyl Cocoyl Taurate, Sodium Hydrolyzed Potato Starch Dodecenylsuccinate, Hydrolyzed Hyaluronic Acid, Ethylhexylglycerin, Linoleamidopropyl PG-Dimonium Chloride Phosphate, Polyquaternium-10, Polysorbate 20, Sodium Isethionate, Sodium Lauryl Sulfate, Sodium C14-16 Olefin Sulfonate , Potassium Acrylates Copolymer, Sodium Chloride, Propylene Glycol, Disodium EDTA, Citric Acid, Sodium Hydroxide, Hydroxyacetophenone, Tocopheryl Acetate, Phenoxyethanol, Parfum.